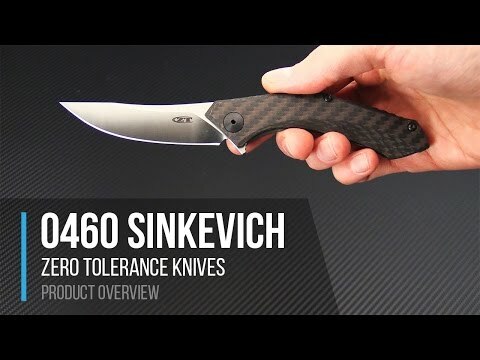 The popularity of the original Zero Tolerance 0460 has paved the way for a full titanium version. 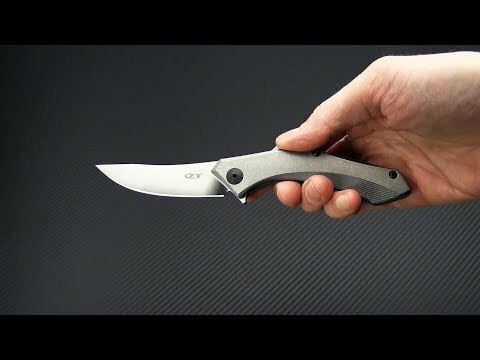 The ZT 0460TI has all of the sought after features of the original along with a few upgrades! Designed by popular knife maker and designer, Dmitry Sinkevich, the Persian inspired 0460 is now available with dual titanium handle and CPM-20CV stainless blade. In the office or in the field, this classy knife has the looks and ability to slice anything that needs slicin'. The Blade: Made from CPM-20CV for additional toughness, the upswept persian-styled blade has a two-tone finish. Stonewased flats and machine satin grinds give the 0460 a custom feel. The knife deploys swiftly on the KVT Bearing Pivot System with a simple push on the integrated flipper, so it is ready to go when you need it. The Handle: The titanium frame lock with hardened steel lock face insert is stonewashed and curved to fit into the hollow of the hand well. A matching titanium front scale is partially 3D machined for added grip and aesthetic charm. A matte black anodized aluminum backspacer makes it a gentleman's tactical folder. The stainless steel pocket clip is single position right, tip-up carry and black Teflon coated.